Dr. Muhammad Zaly Shah earned his first degree in Industrial Engineering from Bradley University, U.S.A. He holds an M.Sc. and a Ph.D. in Transportation Planning – both from Universiti Teknologi Malaysia (UTM). He is a member of the Tau Beta Pi (the National Engineering Honors Society, USA), the Alpha Pi Mu (the National Industrial Engineering Honors Society) as well as Fellow of the Chartered Institute of Logistics and Transport (CILT). Currently, he is the Director of the Centre for Innovative Planning and Development (CIPD) and the Head of the Logistics and Transportation Research Group, UTM. He was a recipient of the prestigious National Science Fellowship (NSF) award for his research on the application of artificial neural network in air transportation. He has served as a visiting scientist at Kyoto University, and the National Institute of Environment Sciences (NIES), Tsukuba both in Japan, as well as the Sungkyunkwan University, Seoul, South Korea. 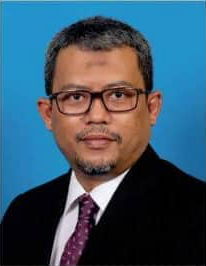 He has also served as consultant to the Highway Planning Unit, Ministry of Works, Malaysia; Ministry of Tourism and Culture Malaysia; Ministry of Higher Education; Kuala Lumpur City Hall; and lskandar Region Development Authority. In 2007, he was appointed as a technical advisor to the Government of the Republic of Zambia for the Multi Facility Economic Zones (MFEZ) in Lusaka, Zambia. He now sits as Board of Directors, Johor Public Transportation Commission.